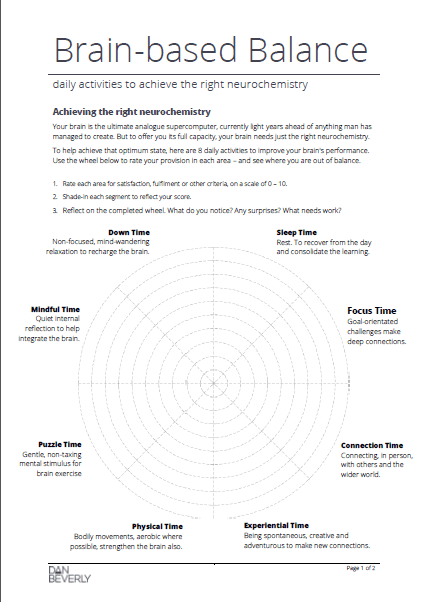 Download your FREE Brain-based Balance Worksheet to achieve the neurochemistry of PEAK performance. Understand the 8 elements crucial to brain-based balance and why maintaining the right neurochemistry is so important to peak performance. Complete a brain-based wheel of balance to help you notice: where you’re in balance; where you’re out of balance; and what priority changes you need to make. Create a plan for achieving your balance goals to sharpen focus, improve productivity and effectiveness, make better decisions and stay cool under pressure. 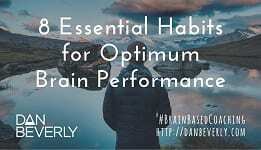 Download your FREE Brain-based Balance Worksheet and get your brain firing on all cylinders for peak performance.